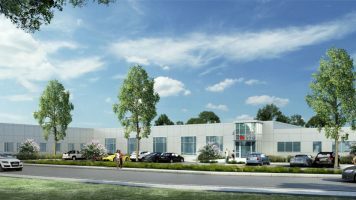 Medford, MA – April 14, 2017 – Following The Davis Companies’ (TDC) transformation of One Cabot Road into a modern, amenity-filled office and R&D building with prime infrastructure to support a 24-hour operation, TDC has executed two new leases totaling 40,000-square-feet with Global Contact Services (GCS), a provider of professional contact centers, customer service and operational support, and iHeartMedia, Inc., one of the world’s leading media and entertainment companies. 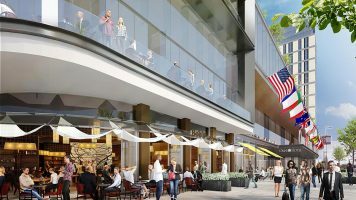 The four-story, 308,954-square-foot, transit-oriented property is walking distance to MBTA Wellington Station, providing quick access to Downtown Boston and Assembly Row via the Orange Line and building shuttle. Additionally, the property is five miles from Boston Logan International Airport, a 12-minute drive to both Cambridge and Boston, and offers an onsite parking ratio of more than three spaces per 1,000-square-feet. Tenants benefit from Medford’s growing retail and residential base that includes the AC Hotel by Marriott, Station Landing, Wegmans, numerous restaurants, and new apartment projects, as well as TDC’s significant capital improvements that bring more than 17,500-square-feet of top-tier amenities to the building. Working with Margulies Perruzzi Architects, TDC repositioned One Cabot Road to offer a fully renovated, two-story lobby with networking and collaboration spaces; a re-energized 10,333-square-foot cafeteria, which TDC transformed into a fun, social environment; an updated fitness center with locker rooms and showers; a 10,000-square-foot outdoor patio with expansive views of Boston and Boston Harbor, comfortable year-round seating, a fire pit and game space, and additional visitor parking. GCS was represented by CBRE’s Jon Freni and Robert Fitzgerald. iHeartMedia was represented by Cushman and Wakefield’s Christopher Walsh and Ted Lyon. Newmark Grubb Knight Frank Executive Managing Director Debra Gould, along with Phil Giunta, Juliette Reiter and Rory Walsh represent the building on behalf of The Davis Companies. One Cabot Road is also home to Expedient, Partners Healthcare and First Marblehead Corporation. Outdated suburban office parks are on a repositioning streak to compete with downtown Boston office buildings, and TDC’s strategic focus on community, collaboration and conservation revamps such properties into vibrant, amenity-rich, live-work-play, urban-node locations. 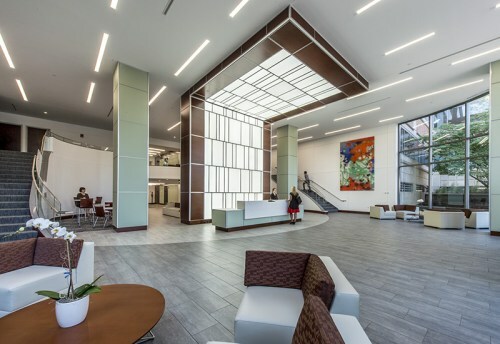 TDC has reimagined: The Center at Corporate Drive and 67 South Bedford Street, both in Burlington, MA; and the Union Trust Building in Pittsburgh, PA, to name just a few of the close to 100 repositioning projects that it’s completed in its 41-year history.